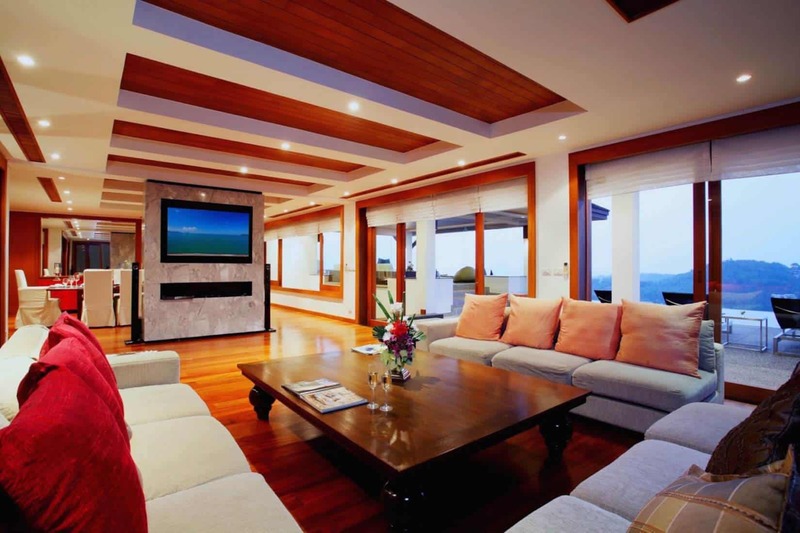 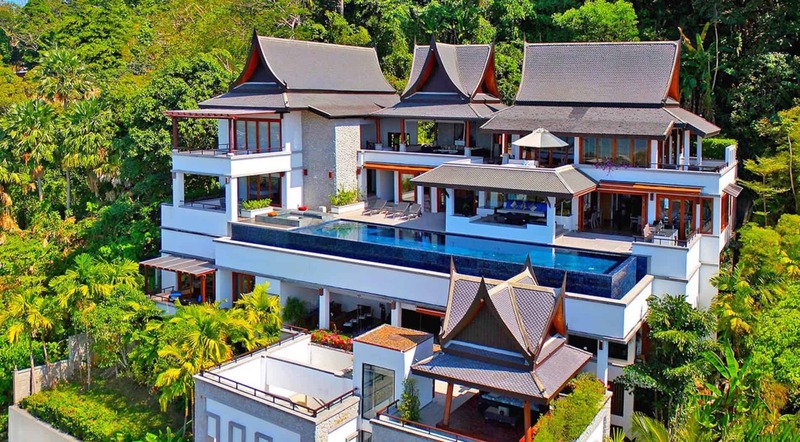 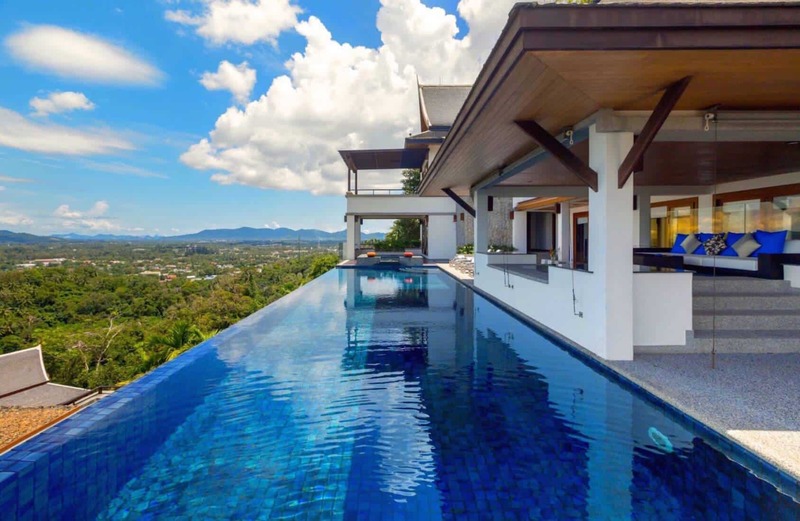 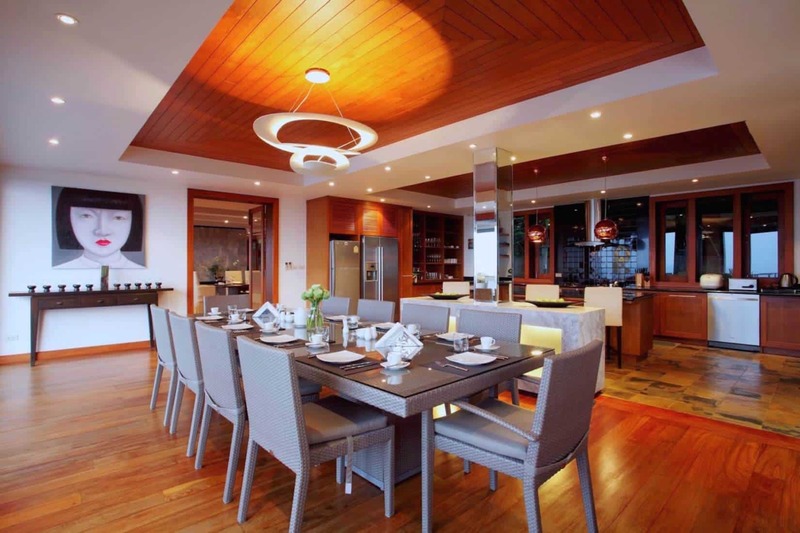 A palatial hillside Thai resident that hugs the lush landscape with each of the six floors. 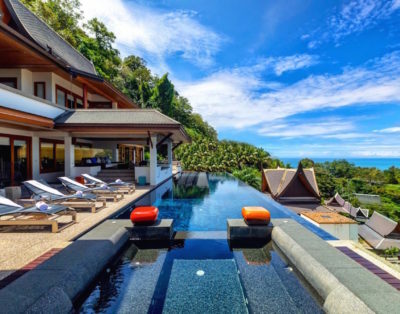 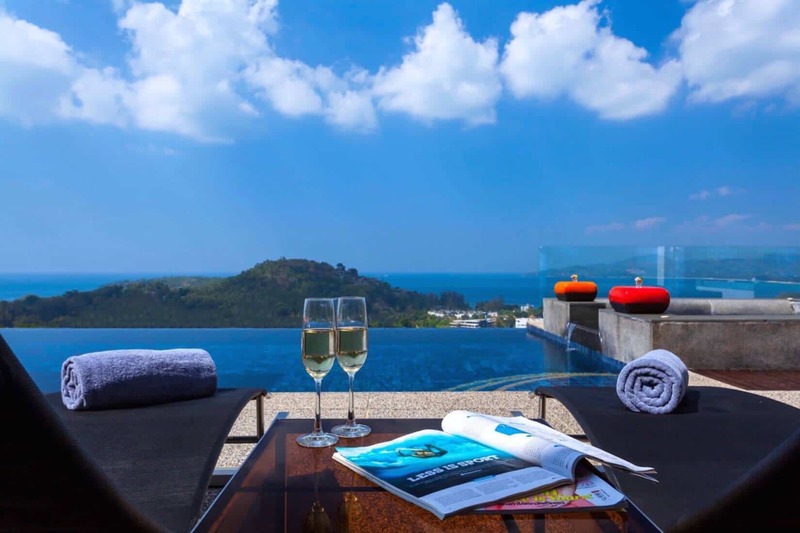 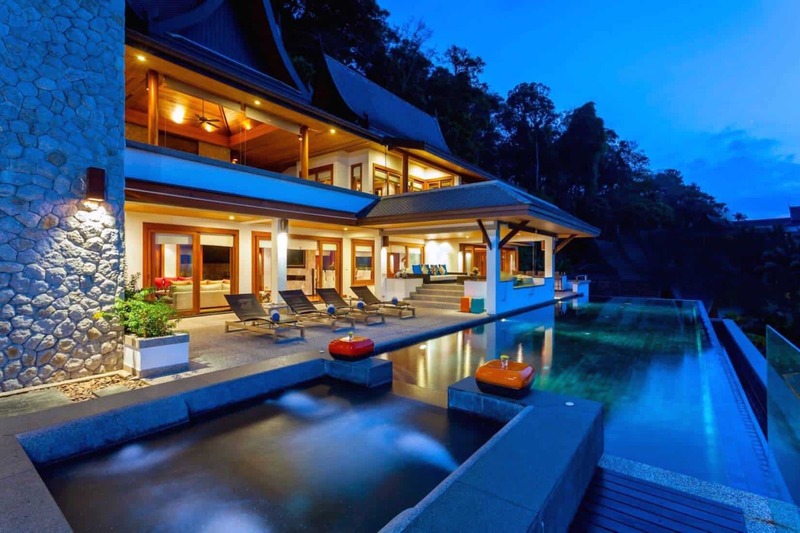 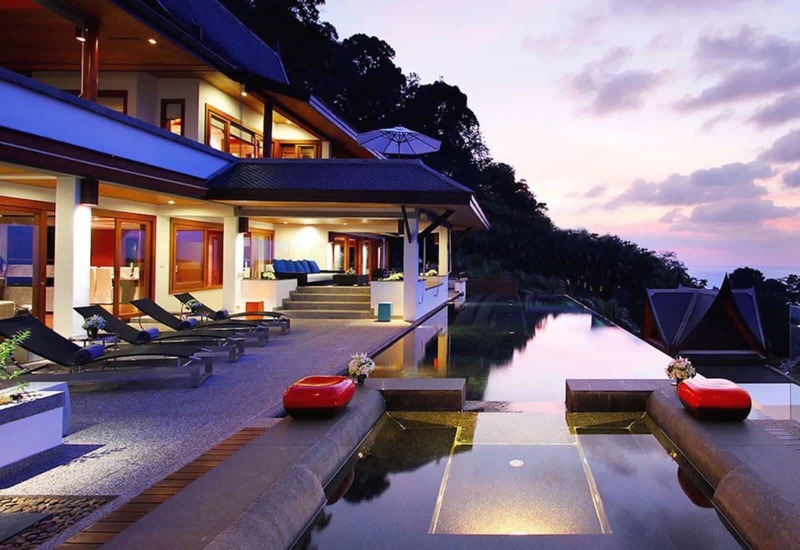 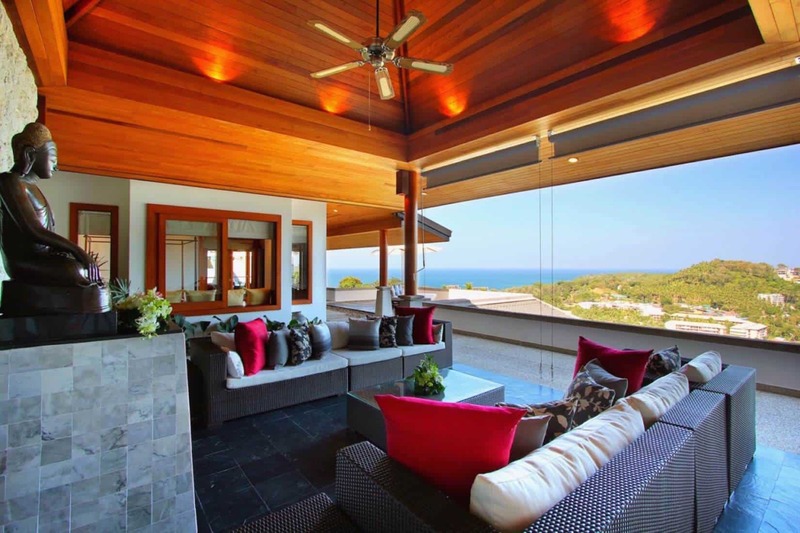 Villa Yang Som is one of our luxury retreats located in Thailand boasts wonderful views of Phuket Island and the Andaman Sea. 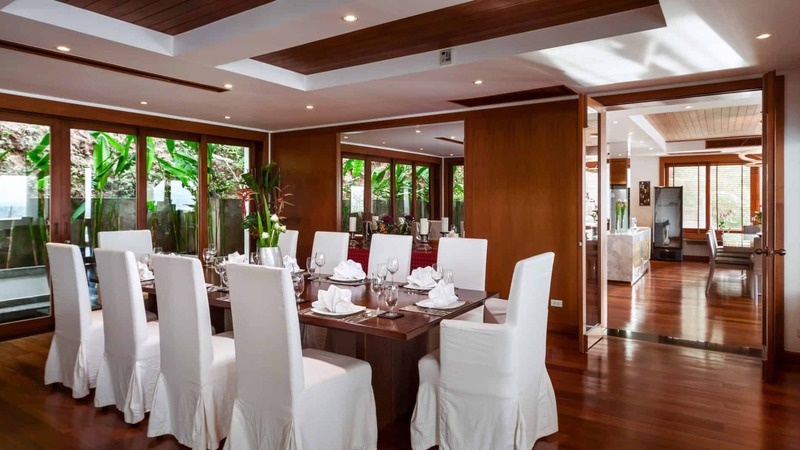 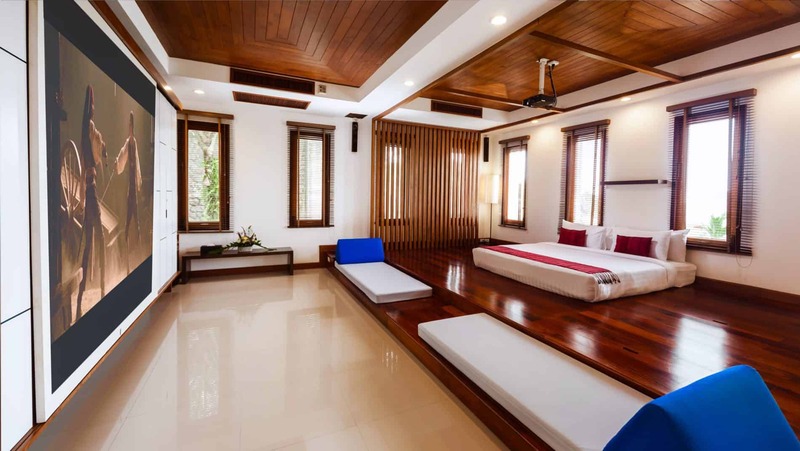 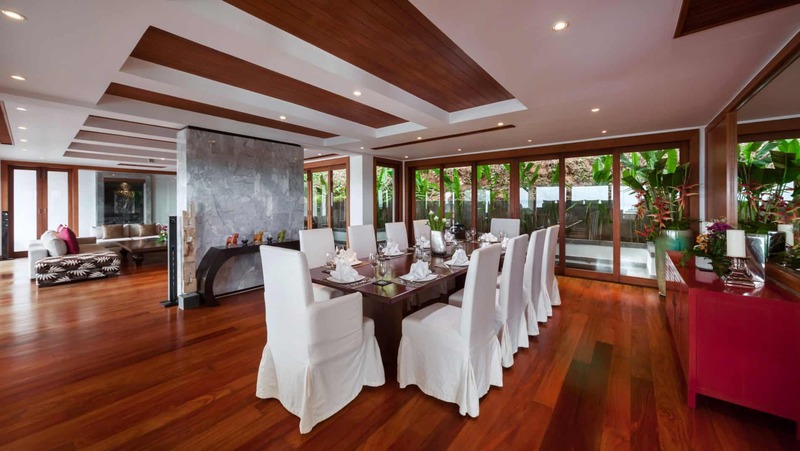 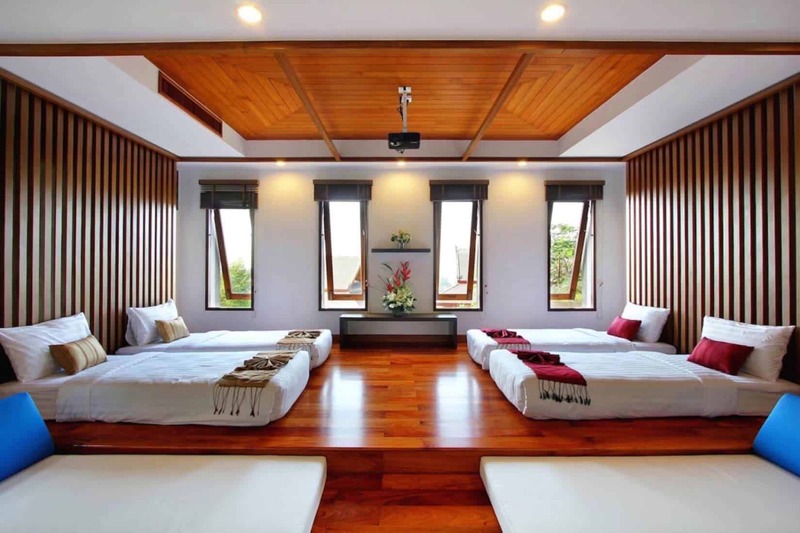 Rented to only one group at a time, Villa Yang Som’s enviable location, comprehensive layout, and professional staff make it an ideal choice for large families or groups of up to 10 friends, corporate retreats, weddings and special celebrations. 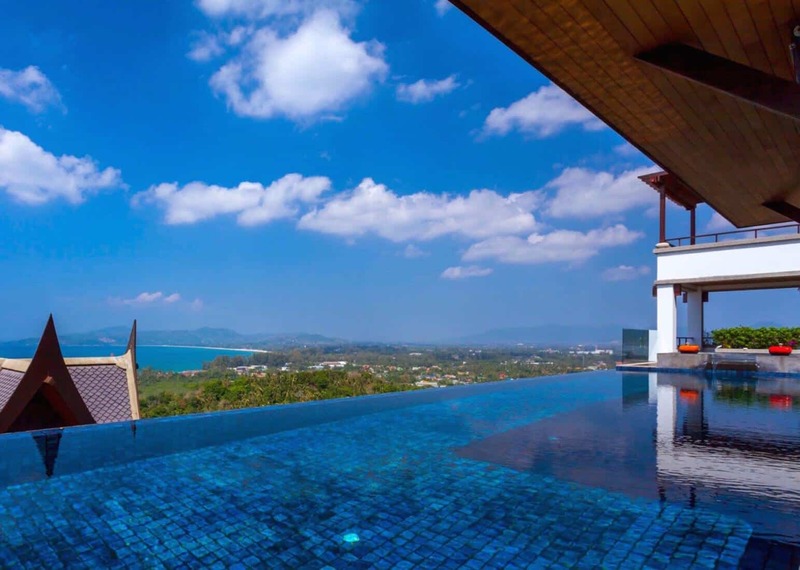 The outdoor areas overlooking Surin and Bang Tao beach are idyllic for enjoying magical Thai sunsets over cocktails and canapés prepared by your private chef. 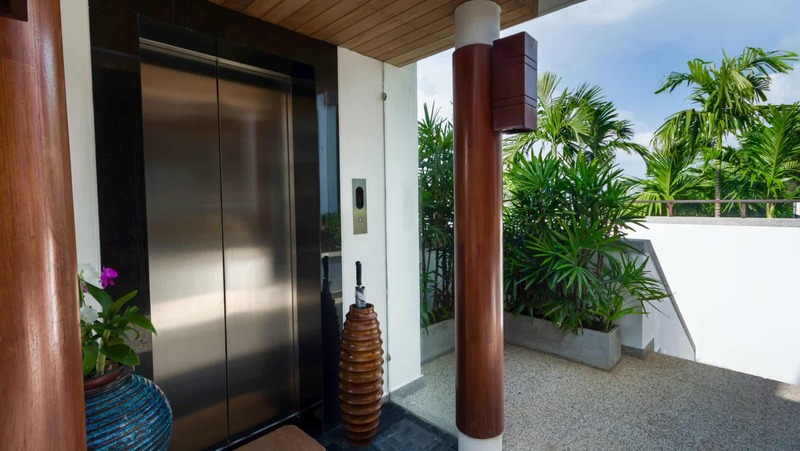 As soon as you step inside you are swept skywards by the elevator. 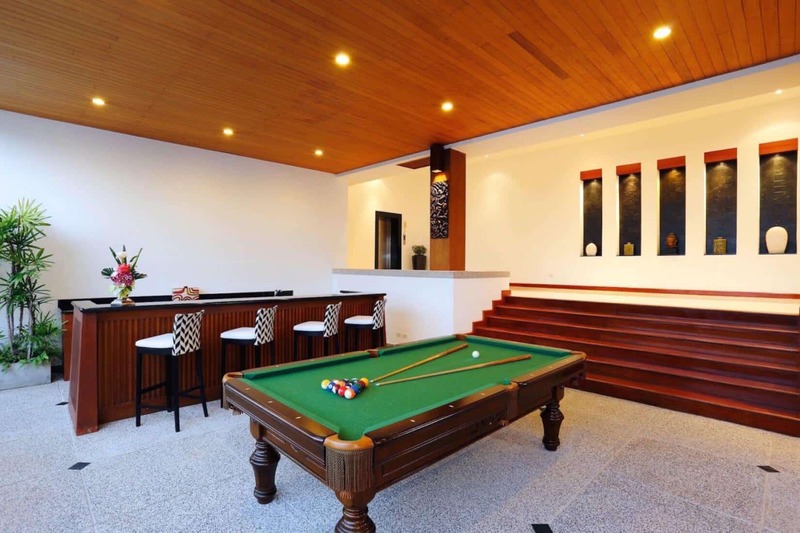 Right on the main reception area is where you’ll find a large games room/home theater which can double as a fifth bedroom with en-suite bathroom, great for families. 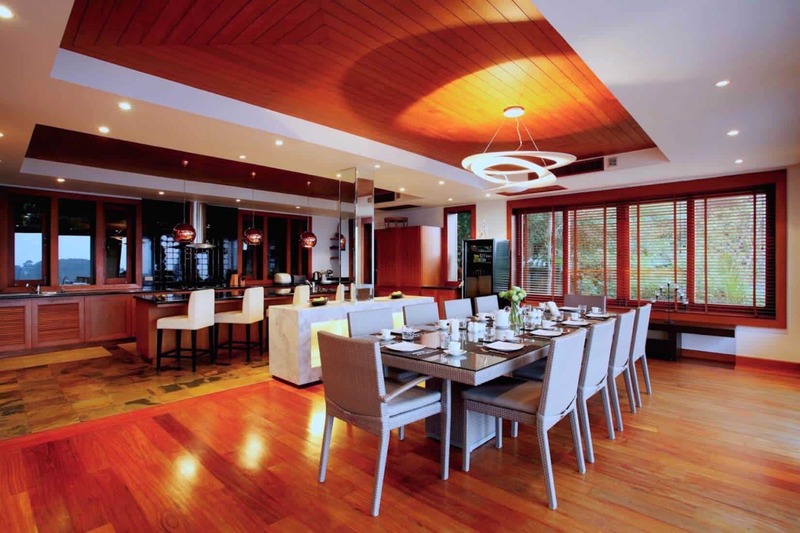 On the next level, an open reception area with a long bar is perfect for private parties and events. 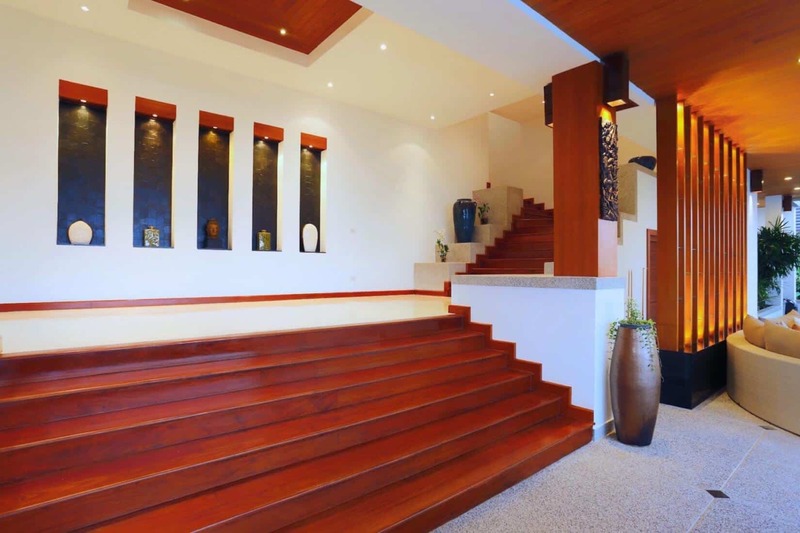 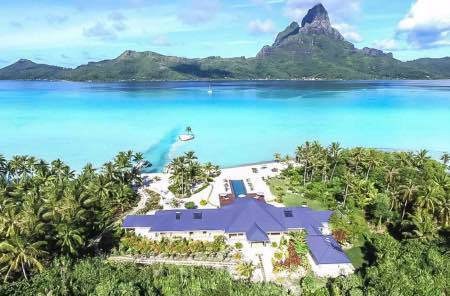 Enjoy views of the ocean or the take the grand staircase to the main level living floor where there is the massive impressive 18 meters infinity pool and hot tub. 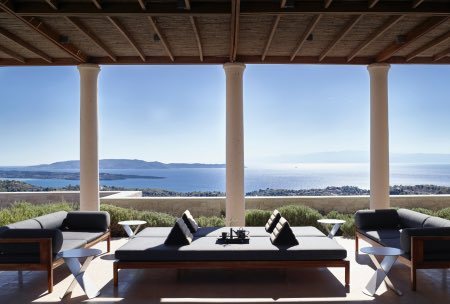 Open plan living, dining and entertainment areas open onto beautiful stone terraces and an alfresco dining sala for sanctuary from the midday sun. 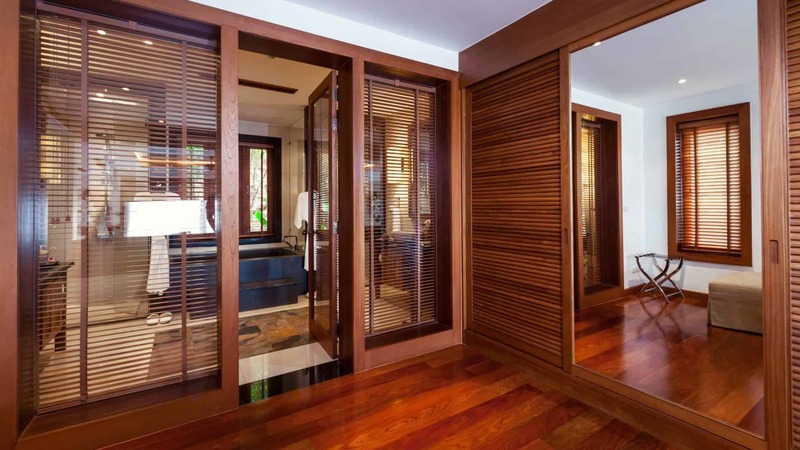 If you need to retreat from the heat, head to the sixth-floor sala for an invigorating Thai massage. 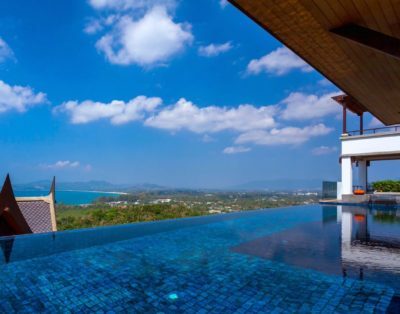 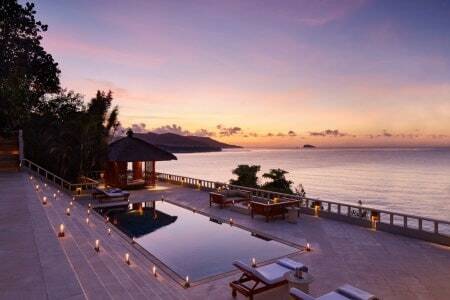 Villa Yang Som is the perfect Haute Retreat. 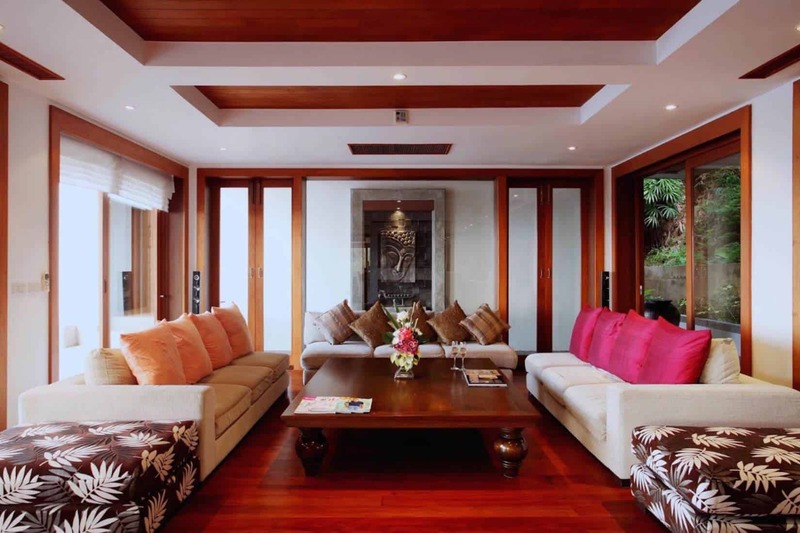 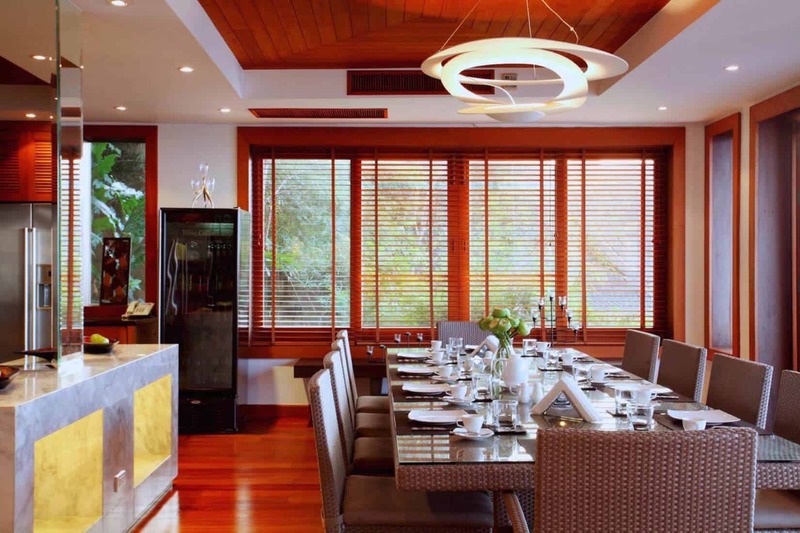 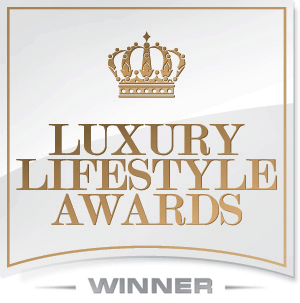 It is decorated with handmade silks & teak furnishings. 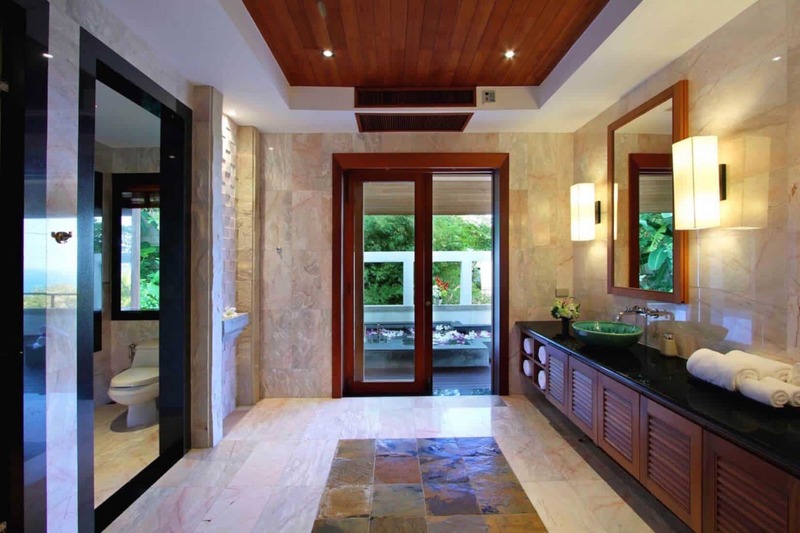 The villa is surrounded by lush palms for extra privacy. 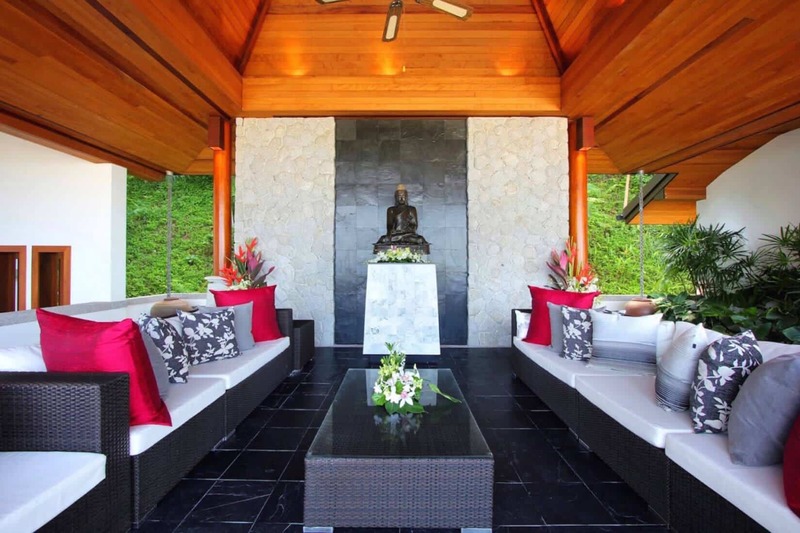 Zen-like calm prevails and images of the Buddha make a frequent appearance. 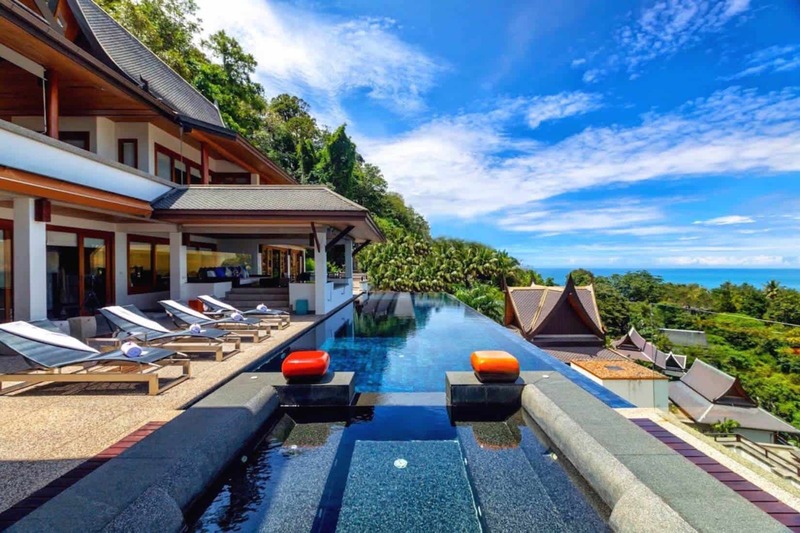 A state of the art sound system and comfortable sofas with plump, over-sized cushions below the towering Thai salas make Villa Yang Som the ultimate chill-out spot by the sea. 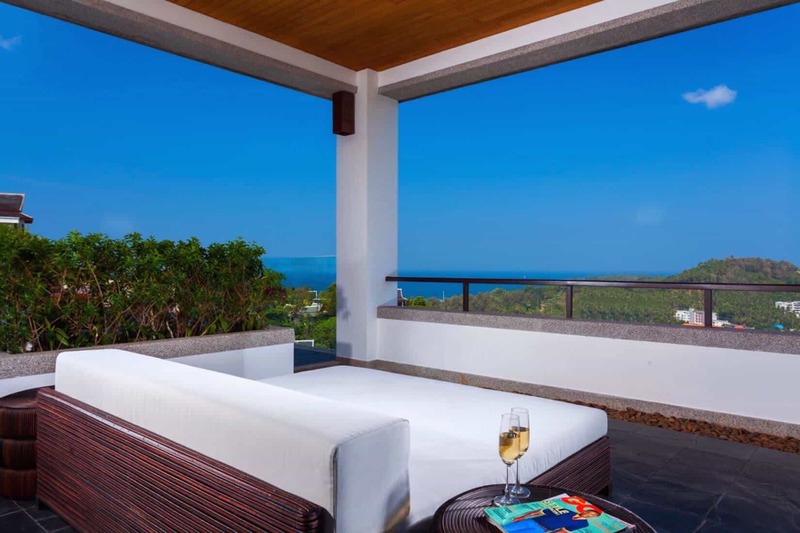 Step out from the fully-equipped kitchen and enjoy an early breakfast on the deck or an evening barbecue with sunset views. 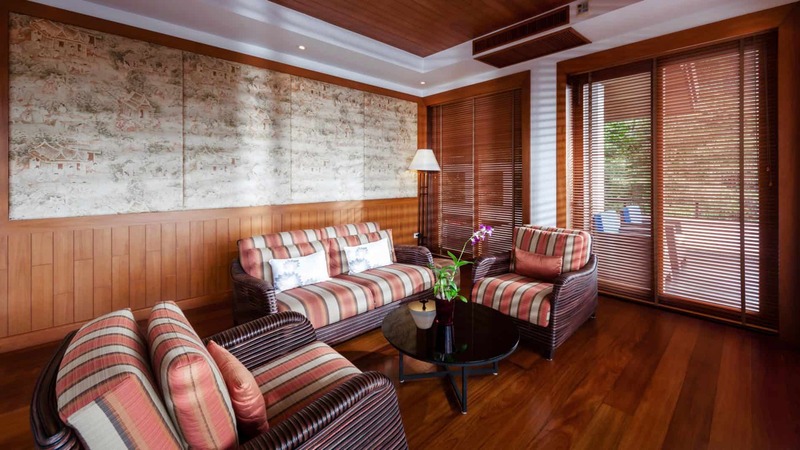 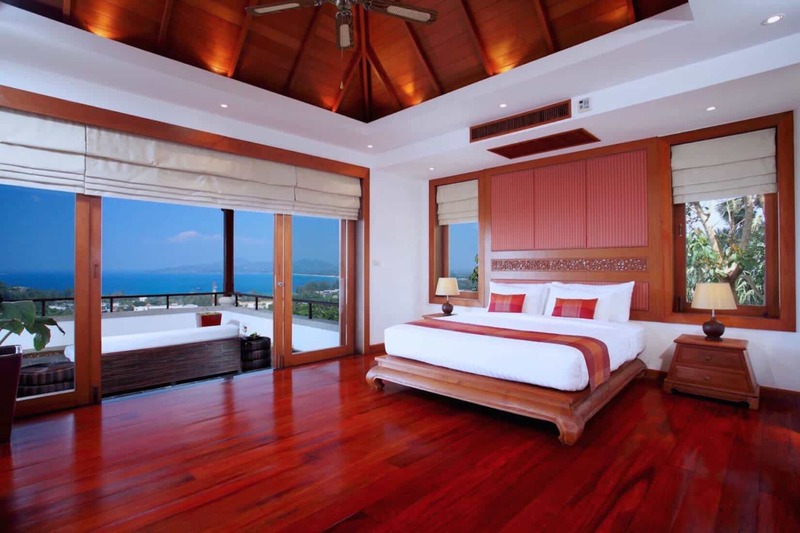 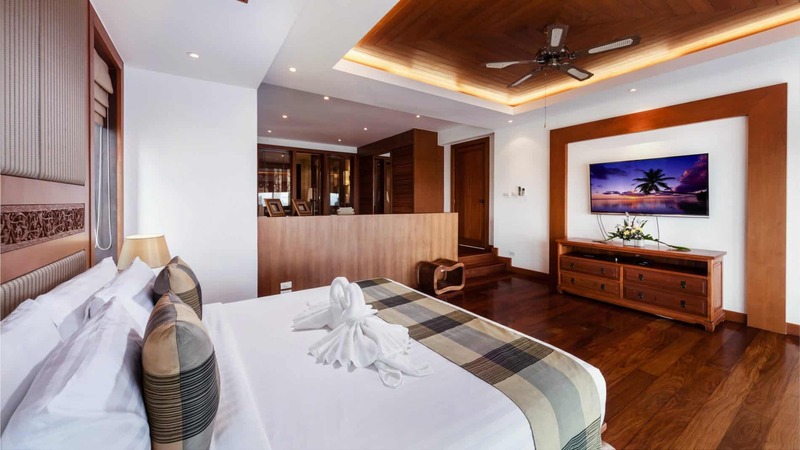 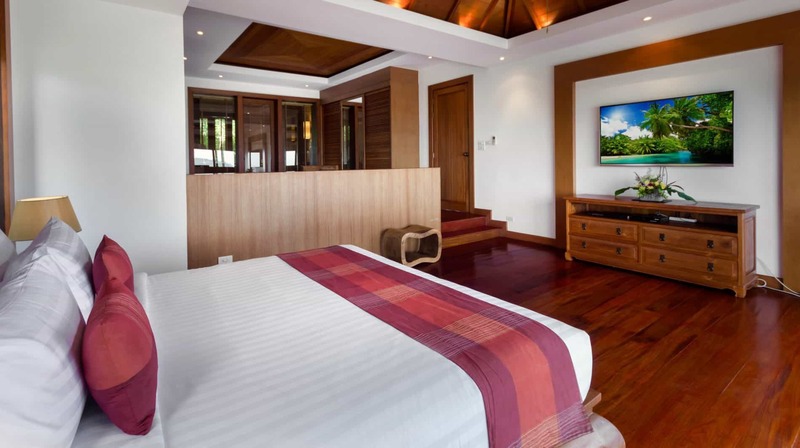 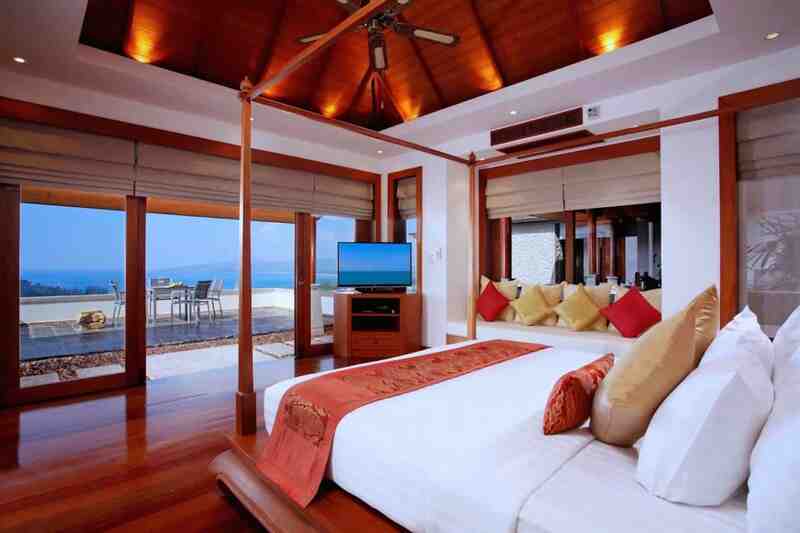 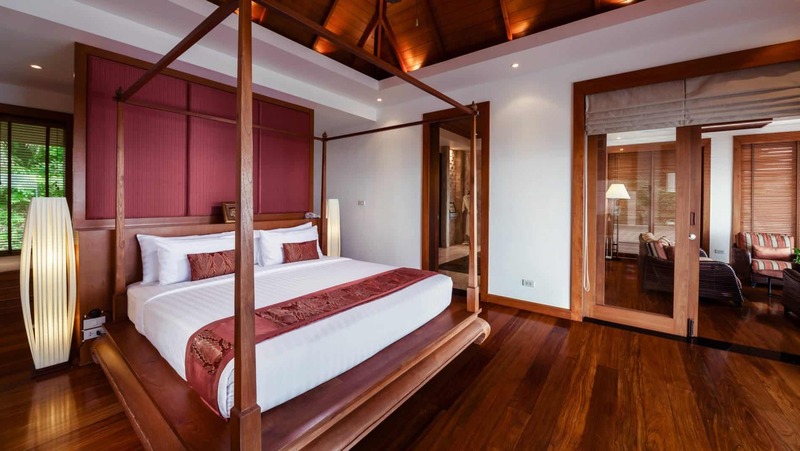 The five suites at Villa Yang Som have king size beds, TV’s, private studies dressing areas and some of the most luxurious amenities and the wonderful ocean views. 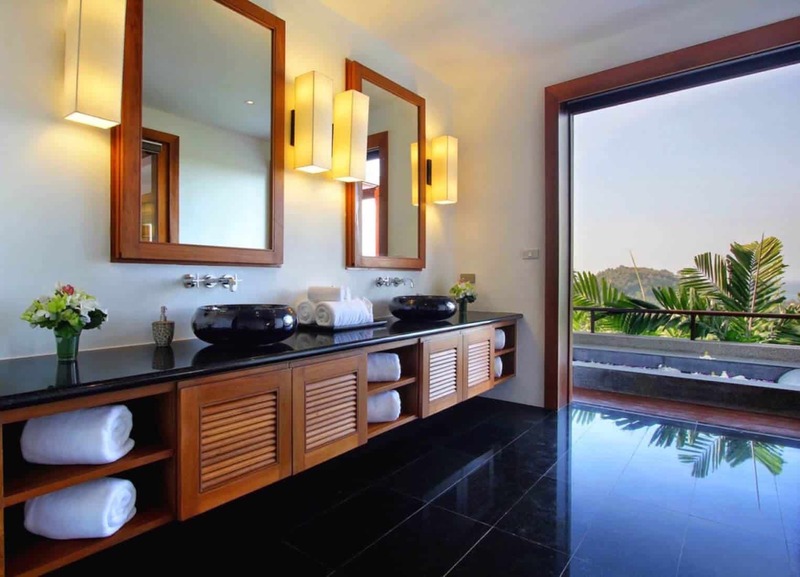 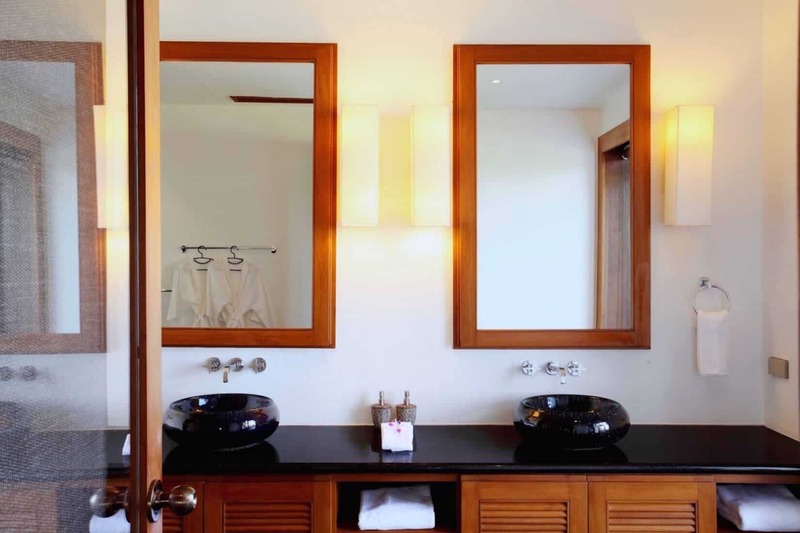 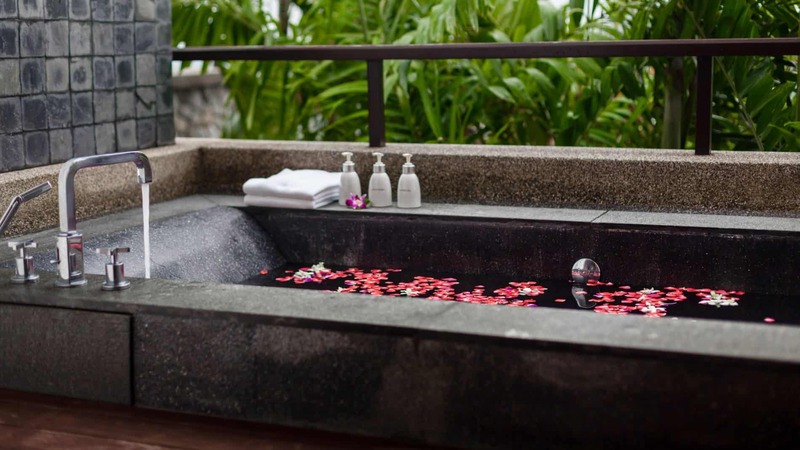 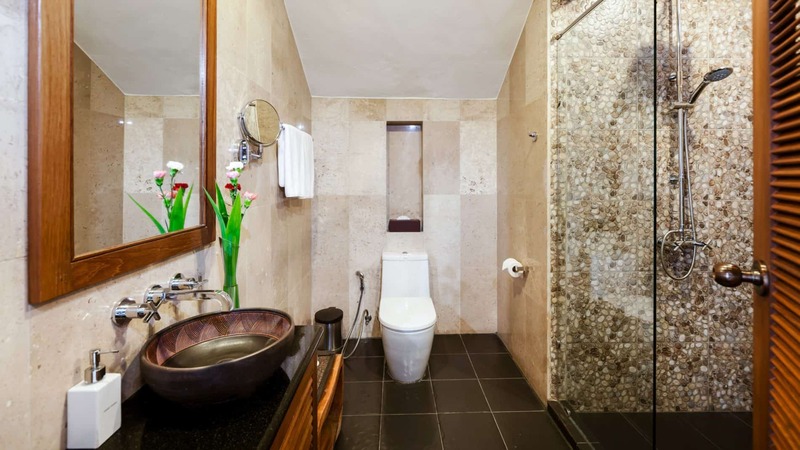 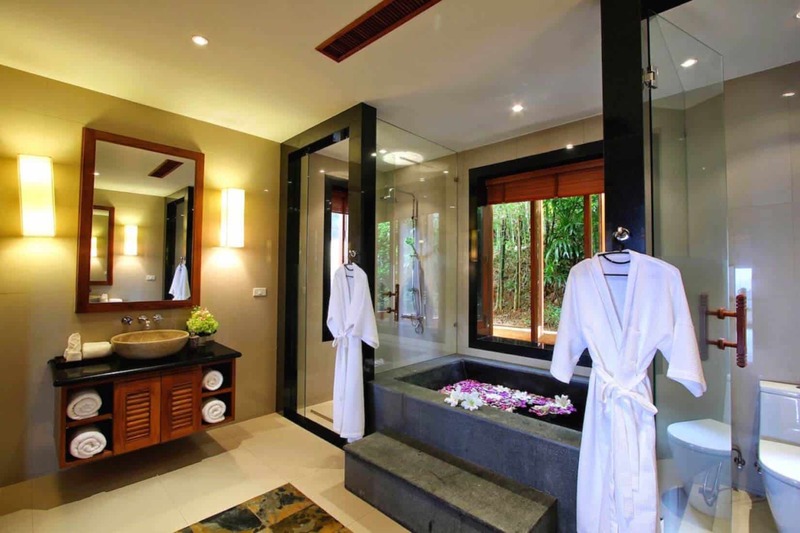 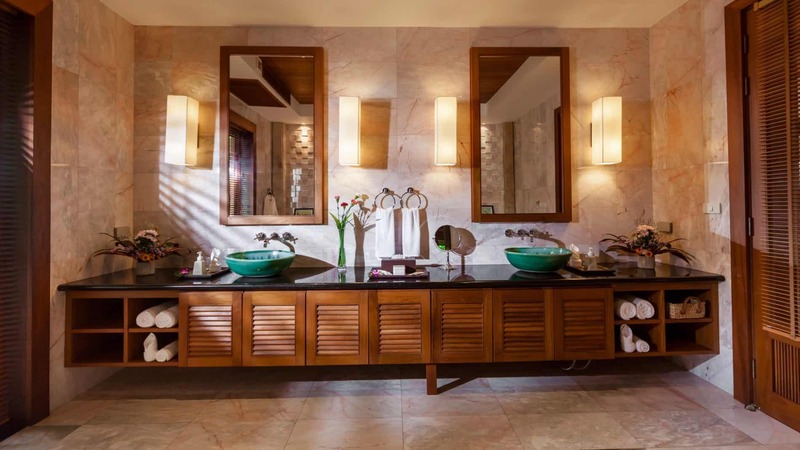 Deluxe Oriental spa-like bathrooms blend eastern panache with western pragmatism, and two boast alfresco jetted tubs. 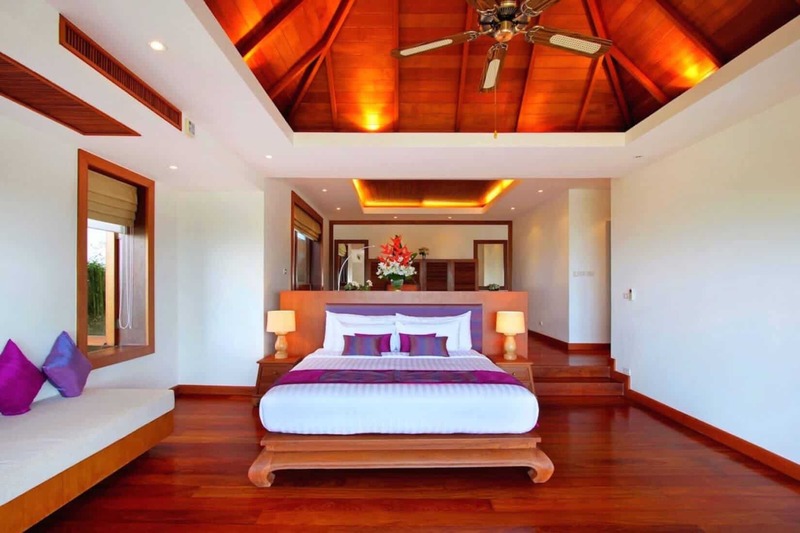 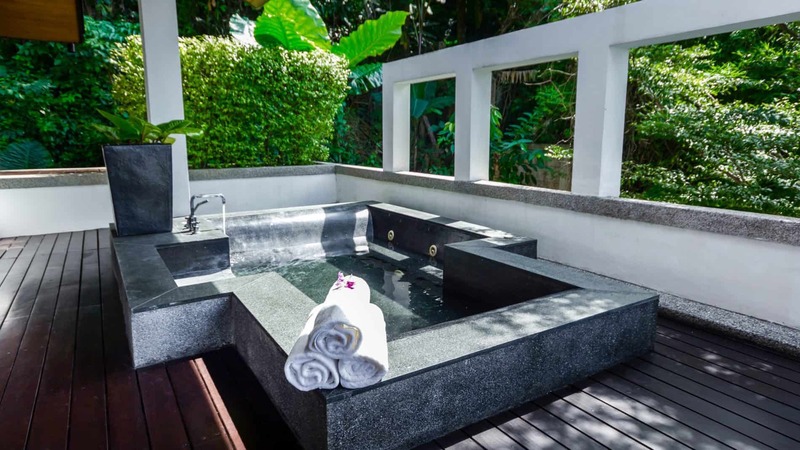 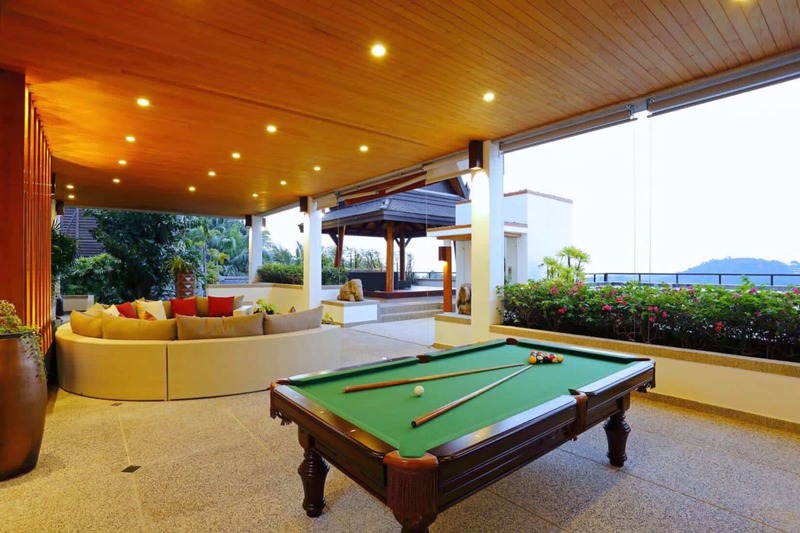 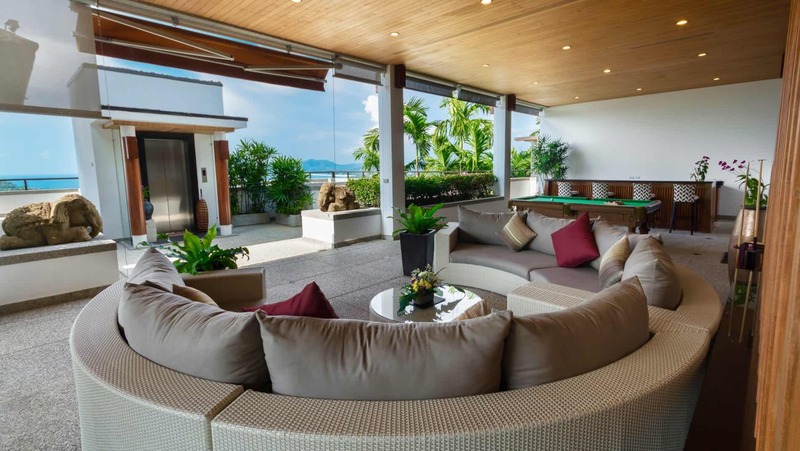 If you feel the need to venture out from your secluded luxury hideaway, you’re surrounded by beaches and within half an hour of Patong, Phuket, shopping centers, a golf course and the airport.